Hooded Merganser - Collin Co., April 16, 2016. A rare nest record for Collin County. Hooded Merganser - Dallas Co., April 12, 2016. Another unusual next record from White Rock Lake. Hooded Merganser w/chicks - Hooded Megansers are uncommon winter birds, but very rare nesters in North-central Texas. 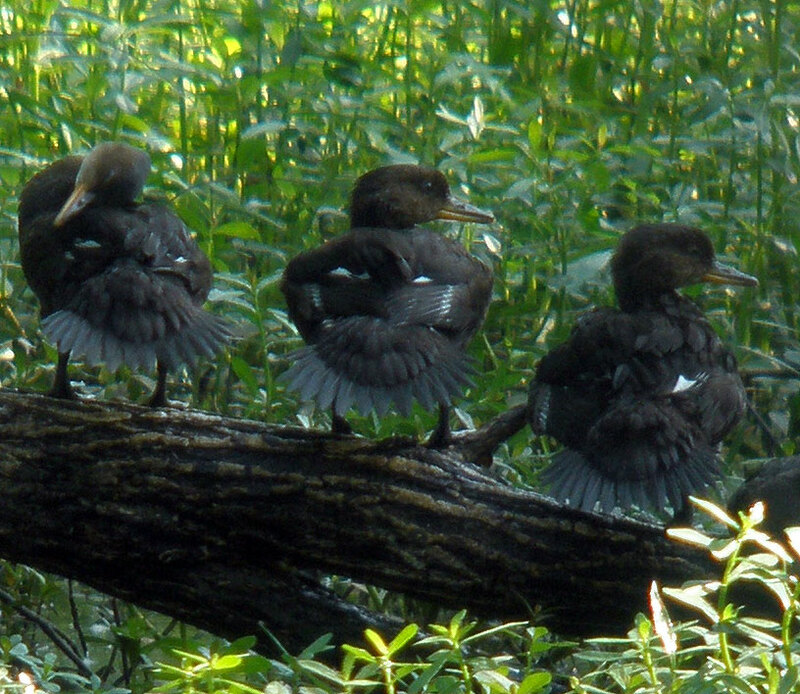 This female with several chicks (9) was observed at White Rock Lake over several days in May and June of 2010.